The Hyundai Eon, which is priced between Rs 3.33 lakh and Rs 4.67 lakh (ex-showroom Mumbai), is offered in a total of 16 variants and nine colour options. It is the most affordable Hyundai on sale today and competes against established rivals such as Maruti Suzuki’s Alto 800 and Alto K10 and the Renault Kwid, among others. Although the Eon hasn’t received many updates since its launch, it is certainly one of the best looking cars in its segment. 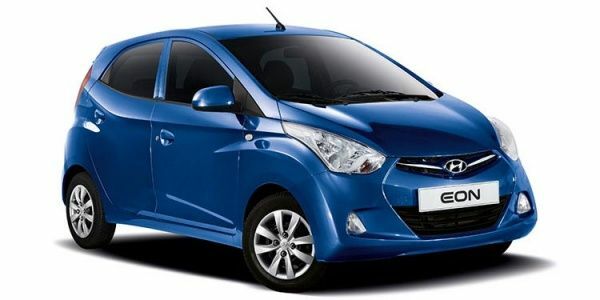 The Hyundai Eon is the Korean carmaker’s entry-level offering in the Indian market. It competes against established rivals such as Maruti Suzuki’s Alto 800 and Alto K10 and the Renault Kwid, among others. The little hatchback boasts of a well built cabin and frugal 800cc and 1.0-litre petrol engine options. The Eon returns an ARAI-claimed mileage of 21.1kmpl and 20.3kmpl with the 0.8-litre and 1.0-litre engines, respectively. With a price tag that ranges between Rs 3.33 lakh (800cc D Lite variant) to Rs 4.67 lakh (1.0-litre Magna Plus Optional variant), the Eon comes across as a worthy alternative to Maruti Suzuki bread and butter models, the Alto. It’s diminutive size should prove to be an advantage in our crowded cities as well. July 7, 2017: With GST kicking in, prices of the Hyundai Eon have been revised. Because of the new GST taxes, the ex-showroom prices have gone down. Mumbai:The starting price for the Eon now starts at Rs3.3 lakh for the base variant, as opposed to Rs 3.48 lakh pre-GST. That's a reduction of Rs 18,000. Similarly, the top variant is now Rs 23,000 cheaper and costs Rs 4.56 lakh. Prices have been slashed across variants. Delhi:The starting price for the hatchback now starts at Rs 3.31 lakh for the base variant, as opposed to Rs 3.32 lakh pre-GST. That's a difference of Rs 1,000. The price of the top trim remains unchanged and costs Rs 4.56 lakh. Q. I am willing to purchase a Hyundai. I want to go for either a Santro or a Eon. Please suggest which will be a better deal. Q. Which one is better among Eon and Ignis? Q. Which one should I buy EON D Lite or Renault KWID RXL? I have Hyundai Eon Magna plus O. it's A very nice car. I would rate it above kwid. The entry level hatchback segment has been ruled by Maruti Suzuki for decades and never has a contender arrived on the scene until now. Taking the fight straight to Maruti's bread 'n' butter model, the Alto, is the all-new Hyundai Eon, which not only intends to sweep away the competition, but also redefine the rules of the entry level hatchback segment itself! The Hyundai Eon now comes with the 1.0-litre Kappa engine. We find out more. Datsun Go vs Hyundai Eon Comparison Review: In Pictures! Maruti Alto 800 vs Hyundai Eon: Shootout Photos!